I believe that turbulance can be benificial to efficiency as it slows down the flame over the bottom of the pot therefore allowing better heat transfere to the water. I have a scientific paper on the topic and I have been trying to design this feature into my stoves. 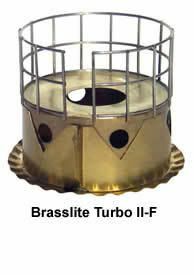 in the case of the Heiny-pot over a flat topped open burner (Starlyte, Screencan) the type of turbulence caused by the concave bottom of the can does not seem to be benifitial. what ive seen in my testing is that the flame actually spins around the bottom of the can causing serious heat loss far out from the side of the can. also a decrease in burn time on a given fuel load. with a jet type burner (pepsi-g, penny, photon) where the flame has it's own inherent stability i can see the posibility of the turbulence being helpful. the jet types aren't so easily displaced by light air currents. i'll post some pics in the "pimp my Heiny" thread. we should discuss it in that thread. Daren, I found the right size can and it works great. It holds the water temp at 200 degrees. On Monday I'll try and get a movie of how it works. It works tha same way as the can and the StarLyte UltraLyte. Once the water reaches a boil, the pot is removed, the stove is snuffed out with the can, the stove put into the can, re-lit and pot returned to the stove. The stove is then stored in the simmer/snuffer can. Anyone that has made a starlyte or fancy feast type stove will now be able to simmer with it. I wonder what the ratio is at present, the amount of people wanting to simmer their meals while on thru hikes and on section hikes. Whatever it is, they can now do it with these two stoves. in reality i doubt that this is of much interest to the hard-core thru-hiker types. but some of us don't hike/camp that way cause we are in less of a hurry. i hike in from my cabin in the Okanagan to my favorite fishing hole on the Kettle river. right where a stream runs in on a bend in the river! set camp and fish for two days. i need to pan-fry fillets of wild rainbow, so i need a moderate heat on the tiny frypan. i'm kayaking in the Gulf Islands and i catch a couple nice big crabs. i need to bring the water to a boil and simmer for about 15-20 minutes. kayaking allows for carrying lots more gear, so a second burner and potstand ain't that big a deal. i have cooked a FBC rice or noodles dish as the crab cooked. I agree with you Daren, so it winds up being a big plus for the section hikers. They are the ones in all reality the ones that are doing the simmering. Section Hikers being the majority over the Thru Hikers I would speculate. DarenN wrote: i hike in from my cabin in the Okanagan to my favorite fishing hole on the Kettle river. right where a stream runs in on a bend in the river! set camp and fish for two days. i need to pan-fry fillets of wild rainbow, so i need a moderate heat on the tiny frypan. How much water needed to boil 2 large crabs? The fancee Feest has the capacity of 3 ounces of fuel and is now cable of simmering. I think I'll be doing alot of simmer cooking this year. Here is what it looks like fired up and the simmer pot in place. if you have to boil them submerged, could be as much as a couple quarts of water. i like to steam them over the water rather than in it. this requires an accessory like a "bakepacker". this only uses a couple of cups of water (it's nice to add some wine to the water, if you lean that way. i do! ). 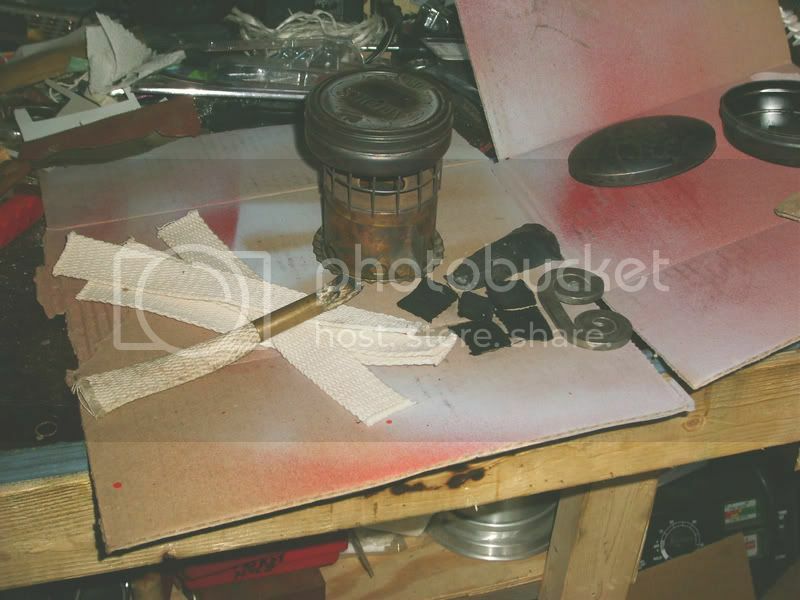 I found a photo of the stove mentioned above. You can see the simmer feature that revolves around the outside of the stove to cover the holes that allows air to enter the stove for combustion. zelph wrote: How long to steam the crabs? I'm going to try steaming some crayfish with wine, sounds good. at least ten minutes, but not more than twenty. when i was younger and lived in Saskatchewan we used to have crayfish parties. everyone wading around in the water flipping over rocks and grabbing crayfish. boiled them up in a big pot over a fire on the beach. good times. I just use mine to make char cloth 1/2 oz. is just the right time to cook it in the can.